What has been the best individual season performance by a Celtic since 1990? Isaiah Thomas 2016-17: Led the EC in scoring (28.9), the highest average of any Celtic since '88, on historic efficiency numbers relative to the volume of scoring (.463/.379/.909 2.8 TO), led the Celtics to 53 wins and an EC Finals berth. Kevin Garnett 2007-08: Decent numbers (19 and 9) belie the significance of the cultural impact Garnett had on the Celtics. Earned a DPOY (the only major individual award a Celtic has won since '86), had a 25.3 PER (the highest for a Celtic since '88), led the Celtics to a historically great defense and helped bring banner #17. Also had 12.9 WS, tied with Paul Pierce for the most since '88. Paul Pierce 2005-06: Pierce's best individual statistical season averaging 27-7-5 on .471/.354/.772, a career best 10.3 FTA per game, and his highest PER (23.6). 5th straight all star game. The Celtics were bad (33-49) but Pierce carried as heavy a load as he ever did, leading the team in points, rebounds, steals, and 2nd in assists. Paul Pierce 2001-02: Pierce's coming out party. 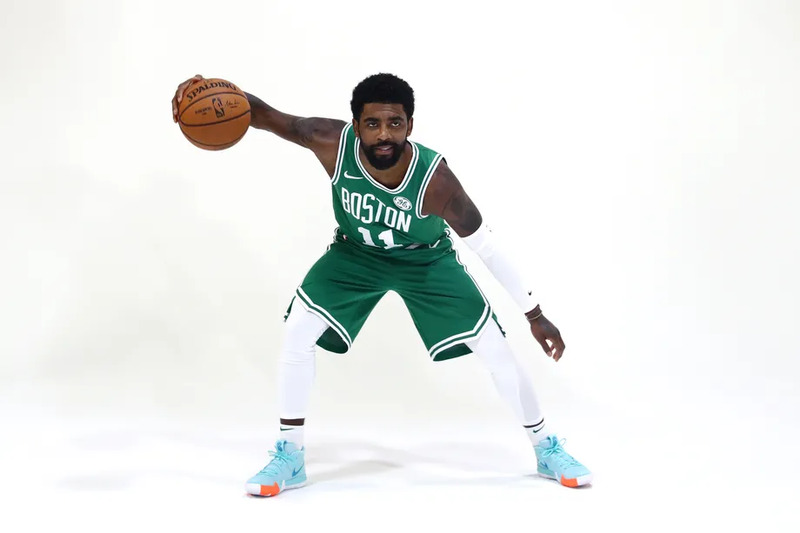 26-7-3 on .442/.404/.809, Highest WS of his career (12.9, tied with Kevin Garnett for highest by a Celtic since '88) and made his first all star game while leading the Celtics to 49-33 and an EC Finals appearance. Larry Bird 1989-90: Last great Bird season. Returned from only playing 6 games the year before to average 24-9.5-7.5. 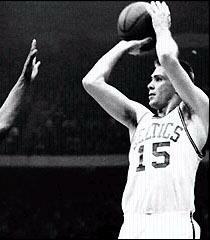 Led the Celtics to 52-30 but upset by the Knicks in the first round. Lesser Bird was still one of the greatest all around players ever. A year removed from IT's big season, I'm bumping and adding a poll. Man, its really hard to remove the probable recency bias here but the season IT had in '16-17 was some of the most impressive basketball I've ever seen by a Celtic. KG and Paul were amazing in those seasons, but IT had a pretty historic season. IT for me simply because of how unexpected it was. We all knew he was a deadly scorer off the bench. Nobody thought he would ever be a top 5 MVP candidate, even for a season, and lead a team to the Conference Finals. I remember reading it at the time it was one of the best statistical seasons ever by anyone for IT. I wonder if he will bounce back this year. I voted "the little guy" with enormous, heart and huge stones and GREEN blood. The leading overachiever on a team of overachievers. And I'm an old schooler who loves Bird (favorite player over Pierce and Havlicek) and thinks Russ is the true GOAT. For me it was KG...He brought champion, attitude and toughness back to Boston after being MIA for decades...In the end, it is the Banner that matters and without KG, we are still trying to get back on track...Yes, IT was heroic and awe inspiring and amazing during regular season and playoffs, and yes, his supporting cast nowhere close to KG’s, but in the end, the banner matters...KG was the missing piece that got us over the top- he changed the attitude and fire of that team..
Not sure IT would have bought in to that 07 team as well..it is possible but really not sure...Would have loved to see him on that team though..love IT! This. I voted for KG 2008, but it was really about the impact he had on the team and the franchise. I simply couldn't ignore those factors, even though the poll is posed as "best individual season". Going by that strict definition, it's IT. I voted for KG. Larry Bird is my favorite player of all time, regardless of sport. I also really liked Pierce and IT. However, 2007-08 Garnett reminded me what it was like to watch true greatness every time he took the court. His passion for the game was infectious. He was one of the most intense players of all time, but his laser focus that season was unmatched. He was the clear cut MVP that season, but the writers decided to give it to Kobe instead as some sort of life time achievement award. For me, that season alone, qualifies KG for being on the list as one of the greatest Celtics of all time.